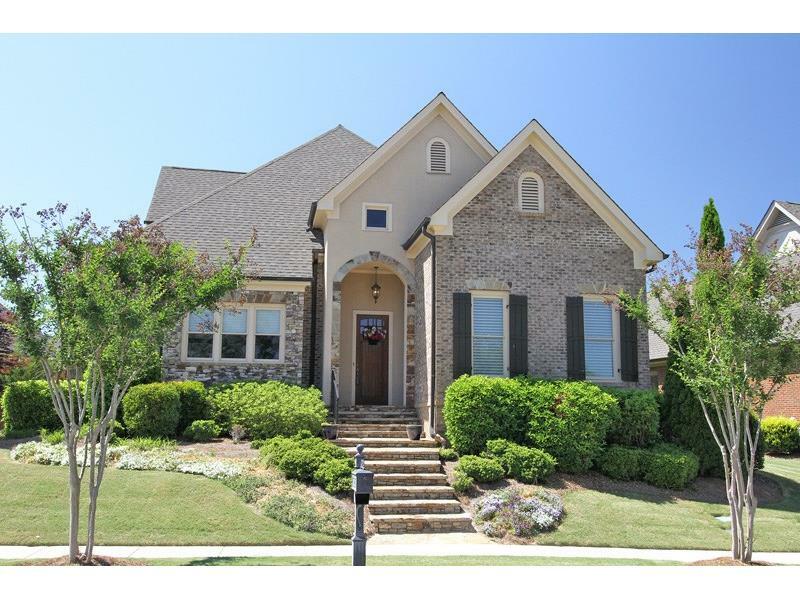 European Brick & Stone Old World Charmer nestled in Chateau Elan's most prestigious phase, "Oxley Village". Better than new offering Soaring Ceilings & Extensive Trim finishings. Spacious & Open Floor plan, Double Mstr Plan on Main w/Private spa Baths! Wonderful Gourmet Kitchen/bkfst bar/all appliances remain incl wine cooler. 2-story Fam Rm open to glass enclosed sunporch/pela windows & stacked stone masonry fplc. Upper level offers private office/open loft w/private full bath/walk-in closet & tons of storage. 3 bay garage w/private alley access. Perfect condition!